You’ll need to disclose anything that’s on this report on your property’s Seller’s Disclosure Notice so keep this handy! If this report is less than four years old, you’ll need to make it available to interested purchasers. If you’ve had an appraisal done when you purchased the property or refinanced it, the appraisal report can help justify your list price. If you’re on the MLS, this report can be uploaded so that other agents can access it. When you purchased the property, you should have received a survey. In layman's terms, a survey is half blueprint, half map. Sometimes this document can be on a very large or long piece of paper. If you have this, hold on to it because this will be required for closing. Depending on your offer terms, having the survey could save you closing costs. Keep documents on hand that state how much you owe, who services your loan(s), your loan numbers, etc. The title company will need all of your basic loan information (loan number, company, contact information, etc.) prior to closing. You may also want to request a payoff quote, so you can have an exact estimate of how much your net proceeds will be from the sale of your home. Keeping track of upgrades you did to your home by creating a detailed list will be immensely helpful for marketing your property; however, if you’ve kept receipts, that’s even better. Receipts are great to have for the appraisal and could be useful when agents are looking at comparable properties. Often times the purchasers of your property will be curious as to how much the utility costs are. Providing past statements, especially those with a graph showing the past 12 months, will be helpful for interested buyers. This is a form that compliments the survey, which you should have on hand to be notarized. On the T-47, you’ll note any additions you’ve made to the property since the last survey was completed, such as decks, patios, sheds, garages, etc. You’ll need to make sure that you have a valid survey on file before you tackle this form though! This is the only form that needs to be notarized. On this form, you’ll need to disclose everything you know about the property. In the state of Texas, this is required and can only be completed by the seller of the property–meaning you can’t ask your real estate agent to complete this for you. Anything that you’re unsure of needs to be marked as “unknown,” and you must be truthful in your answers. We won’t sugar coat it, this is probably one of the more grueling pieces of paperwork you’ll come across. But getting it done and out of the way (truthfully and completely) will save you from even more headaches further down the closing road. We mentioned the receipts for your upgrades earlier, but now is a good time to sit down and come up with a list of all the things you did to enhance your home after you moved in. Even the smaller things like replacing the fixtures in the kitchen should be noted. More obvious things like patio and deck additions should be listed, but also be sure to denote how much money was spent on each upgrade. Again, this list is a must have come appraisal time but will be good to have put together upfront as well. If your property is located in a special water district or any sort of Extraterritorial Jurisdiction, there will likely be some documents/disclosures that you need to sign. These will inform the buyer that they are about to own property in one of the said areas and will signify a “formal” notice to them. Ask your agent or any attorney if you’ll need to sign any of these documents. When you meet the criteria listed above, you’ll need to present proof of an energy audit to the buyers of your home before the option period expires. While this is not a contractual obligation, it is required by the city of Austin. It’s best to get this done during the “pre-listing” phase, so that you don’t need to scramble to get this audit scheduled when it’s crunch time. This is one piece that can sometimes go overlooked so don’t forget about that ECAD audit! It’s time to spill the beans on why your property is on the market! Whether you’re on to the next chapter of your life or looking to ditch the investment property, be ready for this question to come your way. In the same breadth, take this opportunity to give all the details on what you loved about the property–telling potential buyers this could spark an emotion and bring about an offer. Take into account how high or low you listed your home. Did you list low for a fast sale? High so that you can negotiate? Knowing how firm you are on the price is important and will help filter out offers that may be a waste of time. Remember when we said that you should know your loan information? We meant it. This question may come up from buyer’s agents and the potential buyers, though you are not required to disclose this information. However, knowing how much you owe is important because you’ll know how much room you have to negotiate, and what you’ll walk away with from the closing table. Showings – Depending on the showing windows that you’ve indicated, you’ll want to make sure the home is ready for potential buyers to walk through at any moment. Scrambling to get things ready and decluttered is no fun, so keep things as neat and tidy as possible in case of last-minute showings. Inspection – So you’re under contract, and maybe you just threw yourself a little celebration with some confetti in the kitchen. Time to sweep up that confetti and toss it because it’s time for your property inspection! This will occur during your option period. Not only should your home be neat and tidy for Mr. or Mrs. Inspector, but you’ll also need to ensure they have access to things such as the electrical breaker panel, attic entryways, any crawl spaces, etc. The inspector will be at the property for about 3 to 4 hours–not only will they need time, but they’ll also need space. Keep the property looking good and be absolutely sure there’s no more clutter. Also, keep in mind that the buyer will often be present for some or all of the inspection, and you want them to remember why they fell in love with your home in the first place as the inspector is pointing out all of its flaws. Appraisal – Keep the property looking great for Mr. or Mrs. Appraiser too! While they won’t be going through the home as closely as the inspector, you’ll still want to keep things neat as this is an important part of the closing process. Think of them like Santa–a list and some cookies go a long way to give you either clearance for take off with Rudolph or some coal in your stocking. Final Walk Through for the Buyers – Typically this happens the day before you’re closing, so it’s likely that everything will be out of the house. But if it’s not (we really hope this isn’t the case…), it is CRUNCH time. This is the final step for the buyers to be 100% sure that the house is move-in ready. All your stuff (ALL OF IT) needs to be removed from both the inside and the outside of the property. Again, we really hope that you did this way ahead of time and that the buyers will walk into a house they can start moving into immediately. So, not only should the property be amazingly clean at this point, but ALL of your items should be removed as well. Sellers will typically pay for the owner’s title insurance policy–this fee is set by the State of Texas and varies based on the price of your home. You can calculate the fee by subtracting 100,000 from the sales price of your home and then multiplying that number by .554%. Then, add $875 to the sum, and there you have it–unless your home is over $1,000,000. Don’t feel like doing middle school math? Our handy dandy net proceeds calculator can SHOW YOU THE MONEY in no time. This is the fee a title company charges to facilitate the holding and transfer of funds during the home sale transaction–typically this is split 50/50 between the buyer and seller. The escrow fee is usually around $700 in Texas though different title companies have different fees. This fee covers the cost associated with gathering and preparing the documents required to close. This fee is typically paid to a Third Party Law Office that is not affiliated with the title company. The Doc Prep fee usually ranges between $50 and $100 in Texas. A tax certificate indicates the current status of any taxes, interest, penalties, or other related amounts due on a property. The cost to obtain a tax certificate is usually around $40 to $50 and will be requested by the title company and paid for at closing. The purchase of your home will be recorded by the local government and become public record. This fee is generally charged by the county your property is located in. The Recording Fee is typically $20 to $40 and is paid at closing. In Texas, the recording fee is customarily paid by the buyer. It’s recommended to look into this if you are using an existing survey since surveyors are only required to defend their work for their original clients; instead of a property owner taking on the cost of any property line disputes, they can make a claim, and the title underwriter will handle it on their behalf. ‍‍When working with a listing agent, they will likely take a percentage of your final sales price–typically 1-3%. If your home was listed on the MLS, you need to offer a commission to the agent who brings the buyer–the Austin average is just under 3%. If you have a loan on the property, you’ll need to pay this off; because of prorated interest, your payoff may be higher than your remaining balance. You’ll need to pay off your property taxes, though these will be prorated. This is a policy for home buyers that will cover items such as heating, AC, electrical, etc. This is not always required and can be negotiable. When your property is part of an association, Texas Property Code Chapter 207 requires that the HOA provide a disclosure/information to the buyer in the form of a resale certificate–the HOA is allowed to charge a “reasonable fee” for this. Similar to the Resale Certificate, the Transfer Fee will cover the cost of the HOA to prepare and distribute the rules and regulations to the new owner. The owner’s policy or owner’s title insurance will be based on the final sales price of the property. This is an insurance policy to protect the buyer from any losses as a result of errors in the title. It is customary that the seller pays for the cost of this policy to be issued to the new owner. In some offers, items that typically do not convey with a property can be included as part of the contract. In Texas, this may include things such as the refrigerator, washer, and dryer but can also include patio furniture, grills, items in the garage, etc. Certainly don’t overlook this as part of the contract and be prepared to know which items you’re willing to part with. Remember that selling your home is the main goal here. If there’s an item you want to keep, be upfront about it when you’re listing. That way, when it comes to offer time, the item doesn’t become a deal breaker. You’ll receive the option fee (if your contract has an option period). Title will receive the earnest money and put that in an escrow account until closing. You’ll (likely) hear about the inspection of the property being scheduled during this time, though it could occur at any point during the option period. This is typically your option period–although it could be shorter than 10 days. This is the period when the buyer has the unrestricted right to terminate the contract. It can be a little nerve wracking for sure, which is why shorter option periods are most desirable. The inspection of your property will occur and negotiations will commence based on the results of the inspection. If you’re working with an agent, they will handle these negotiations on your behalf. Based on the inspection of your property, repairs will be requested by the buyers. As the seller, we recommend not requesting the full inspection report because that will hold you liable to disclose anything found in this inspection should the deal fall through. Instead, it’s best to request certain portions of the report as necessary based on the repairs requested. Any changes to the purchase contract will be done in writing and in the form of an amendment. You’ve made it out of option, which is certainly worth a mini celebration–you can exhale now; the toughest part of the closing road is just about over. If the buyer of your home will be financing, an appraiser will come out to the property to determine the home’s true value. This is the next big hurdle to get over! During this time, loan approval will also be taking place. Approval should have been noted in the Third Party Financing Addendum, so refer to that to determine how long this should take. This is the time period when you as a seller will need to take care of any repairs that you are contractually obligated to as noted in any amendment signed by both parties involved in the transaction. You’re on the smooth road to closing! 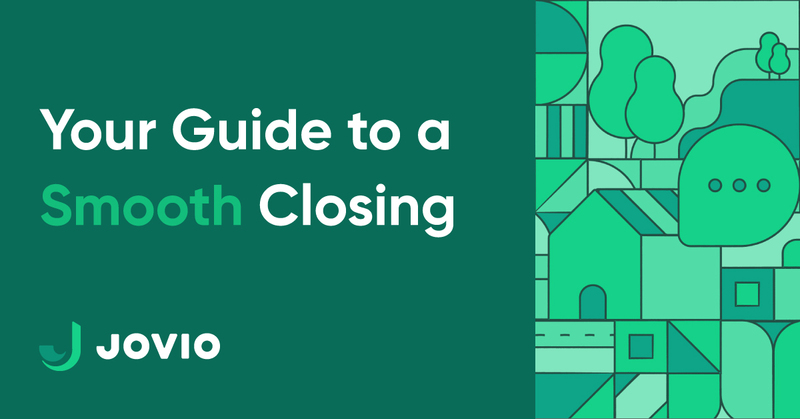 You’ll work with title to schedule your closing date and time. If you need a remote closing, you can get that scheduled through title as well. The title company you’re working with will be in close communication with you during this time, collecting any last documentation. Set up a change of address with the post office and update your address with any ongoing deliveries. Cancel any service contracts or agreements for landscaping, water delivery, HVAC, pest treatment, etc. Transfer the ownership of any smart home or security systems. Leave instructions for the new owners on how to set up and use these systems. Place appliance manuals, warranties, and receipts in a kitchen drawer. Bring house keys, mailbox keys, garage remotes, etc. with you to your closing or leave them in the home for the buyers. You will turn over house keys to the buyer after the loan funds. Once the deed is recorded and the title transfer is formally complete, cancel home insurance policies. Keep your closing documents in a safe place for tax purposes. For funding, bring a voided check, bring your account and routing information, OR plan to receive a paper check at closing. Bring at least one form of ID with you to closing. And last but not least, happy closing day. :) Title will inform you when you’ve been funded, and you can finally celebrate because the deed is done, and your property is sold. Congrats!